Efforts to reduce global warming are putting emphasis on technologies that decrease carbon dioxide emissions. 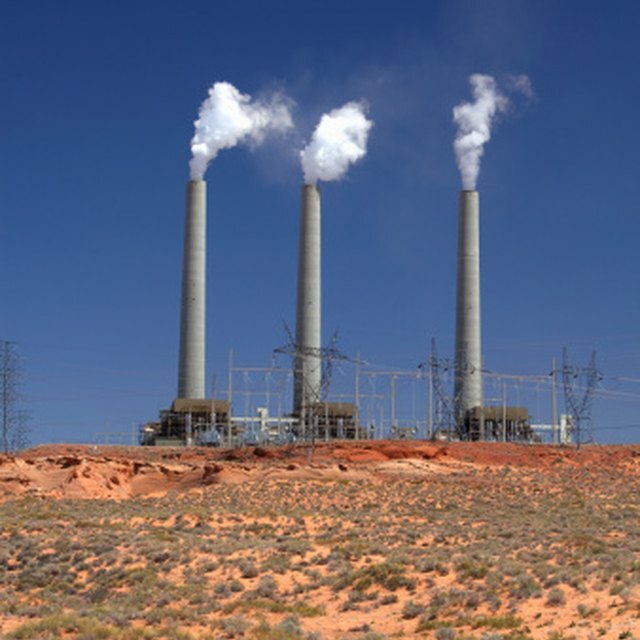 Smoke stacks are a significant source of pollutants that include carbon dioxide emissions. There are various technologies that can be used to remove pollutants from smoke stack emissions, all of which capture pollutants before they are emitted through the stack. The type of technology employed depends upon the facility's processes and design. Technologies to remove pollutants from smoke stacks are designed with consideration of the size of pollutants to be removed, emission flow rate, temperature, moisture, and chemical properties like flammability and acidity. The choice of technologies includes electrostatic precipitators, fabric filters, venturi scrubbers, cyclones and settling chambers. Electrostatic precipitators use magnetic attraction to draw smaller sized pollutants out of the emissions stream. The emission gases pass through a specially designed chamber that first charges the pollutants, which causes them to be magnetically drawn to specially charged plates where they are then collected in hoppers. The emission stream exiting the chamber is about 99 percent clean of small pollutants. Fabric filters, also referred to as baghouses, remove pollutants as the emission stream passes through porous fabric specially designed to remove fine particles. The fabric must be able to withstand high temperatures and corrosive chemical characteristics. Often emissions at high temperatures must be cooled before entering the baghouse. Venturi scrubbers mix water into the emission gas in specially designed tubes. First, velocity and pressure are increased to combine the pollutant particulates with the water, then mixing processes are stopped and the pollutant particulates/water droplets settle out of the gas stream as it exits the tube. This technology uses a lot of water and creates waste water that must be treated. Cyclones are machines that mimic a natural cyclones motion to force larger sized pollution particles to fall to a hopper in the bottom and clean emissions gases to exit out the top. Cyclones are a cost efficient and low maintenance method to removing pollutants from smoke stack emissions; however, they are only suitable for larger sized particles. Settling chambers remove large particles of pollutants from emissions. The velocity of gaseous emissions is slowed down as it moves through the chamber whereby larger sized particles drop out into a hopper. Settling chambers are most often used in conjunction with other technologies because smaller sized pollutants likely remain in the emissions that exit the chamber. Devices used to control smoke stack emissions are part of a plan to improve air quality. The plan sets forth goals with specific air pollutant standards. Technologies that remove pollutants from smoke stakes are determined to achieve reductions. After implementation of these technologies, emission levels are evaluated to see if air quality goals have been met. If not, more pollutant reductions are required. Bacher, Diane. "Devices Used to Remove Pollutants From Smoke Stacks." Sciencing, https://sciencing.com/about-5568843-devices-remove-pollutants-smoke-stacks.html. 09 January 2018.